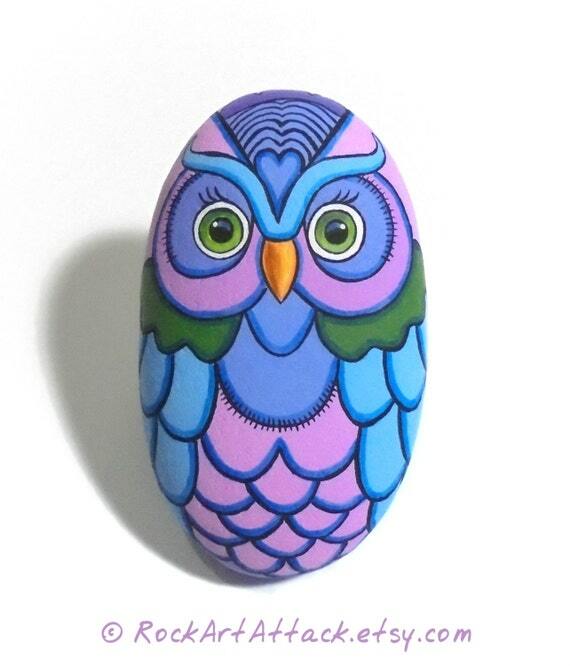 Sea Stone Painted Colorful Owl! Is Painted with High Quality Acrylic Paints on a Natural Stone and Finished with Glossy Varnish Protection. 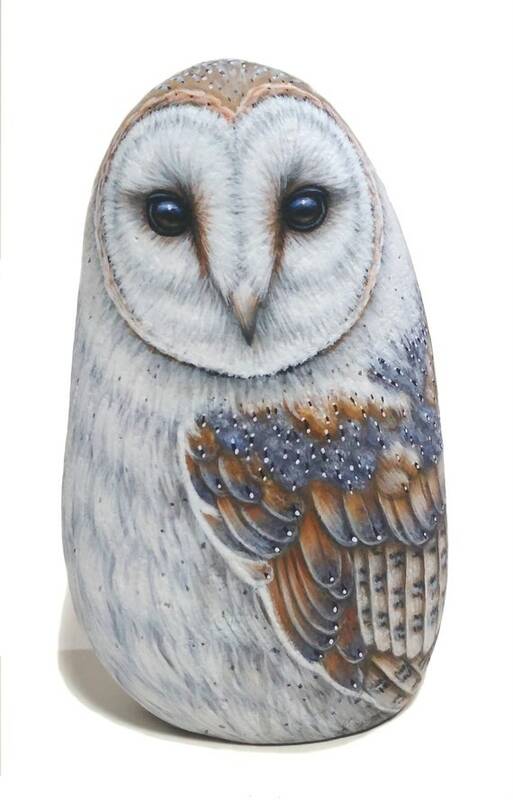 Painted Stone Pretty Barn Owl for Home Decor! 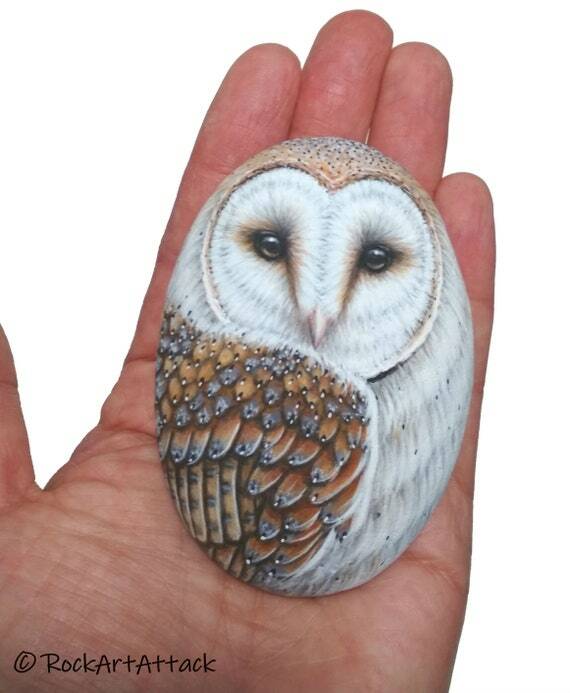 Owl stone art. Hand painted with Acrylic paints and finished with satin varnish protection. 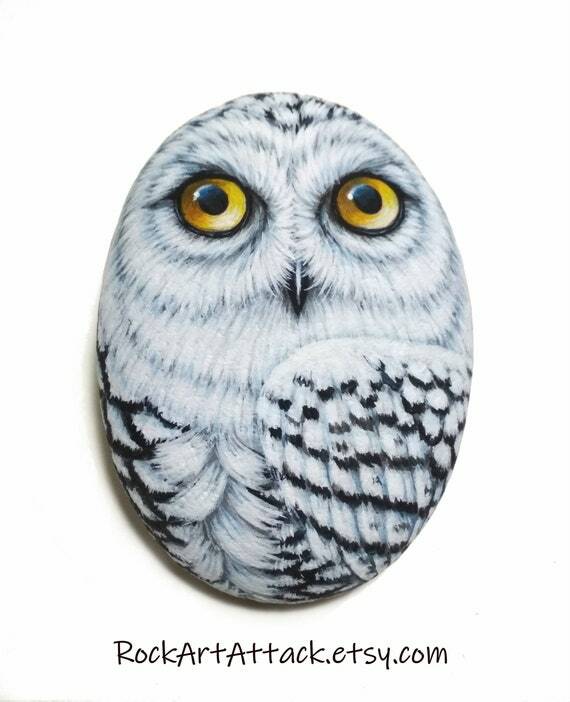 Snowy Owl Hand Painted on Flat Stone! 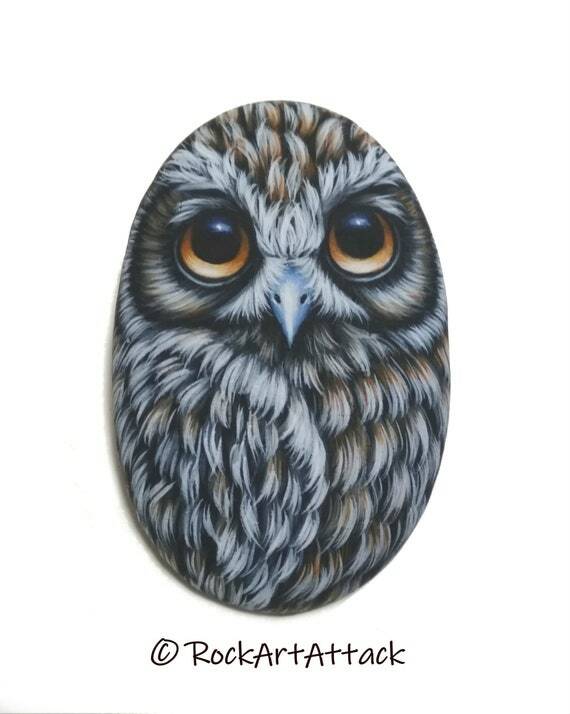 Handmade Owl for Home Decor, Painted with Acrylics and finished with satin varnish Protection. 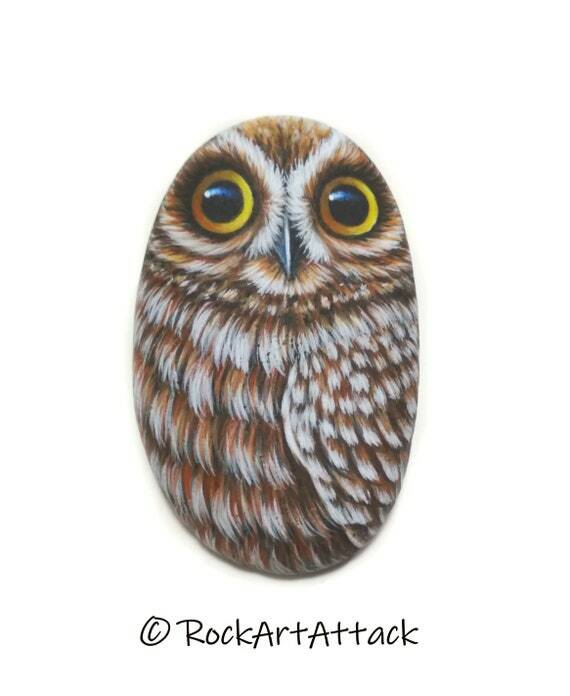 Owl Magnet Painted Pebble! Is Painted with high quality Acrylic paints and finished with Satin varnish protection. 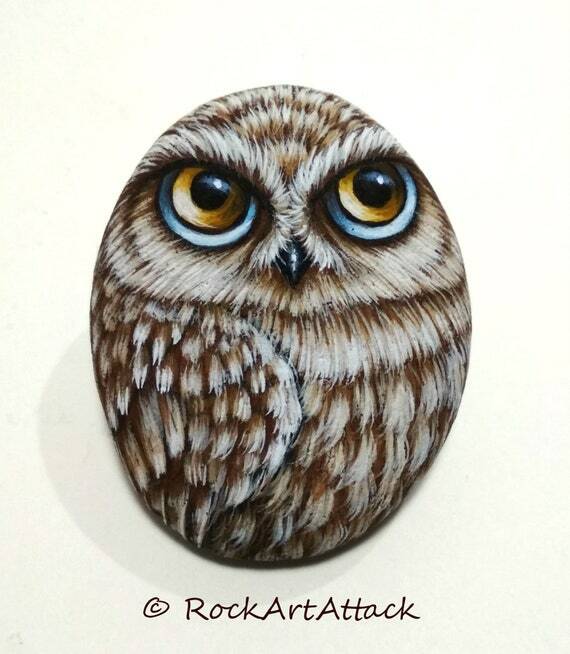 Boobook Owl Hand Painted on Small Stone! 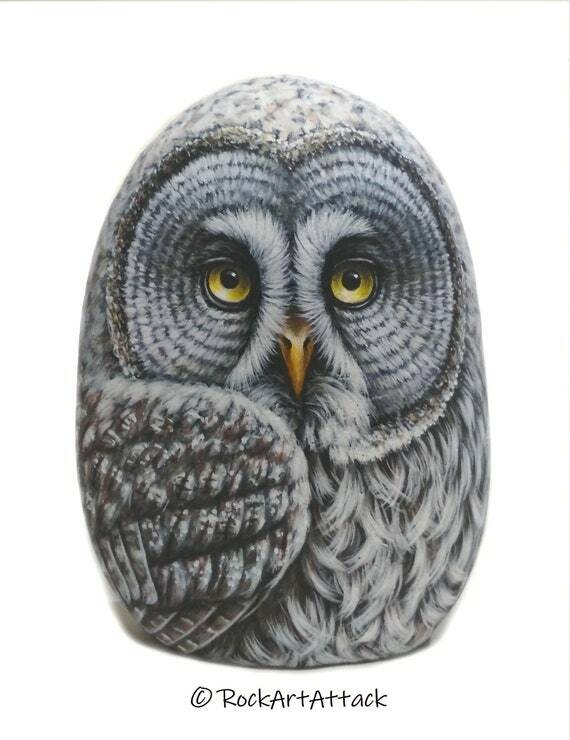 Handmade Owl for Home Decor, Painted with Acrylics and finished with satin varnish Protection. 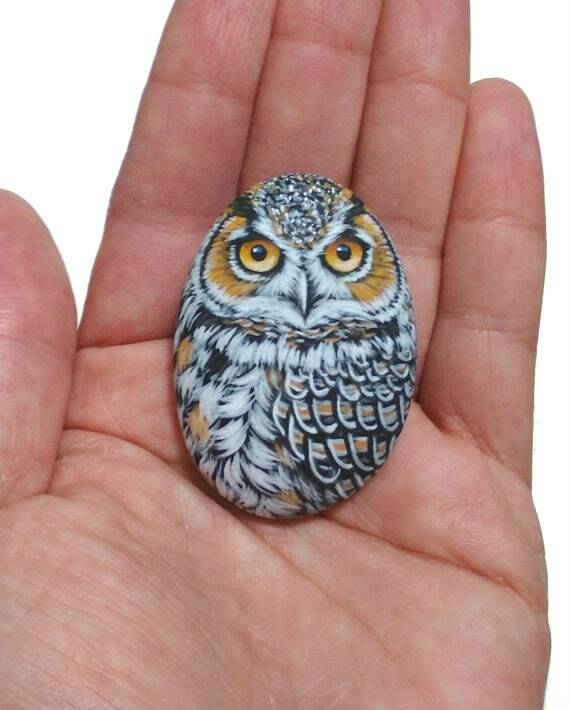 Cute miniature owl hand painted pebble! Bird painting stone. 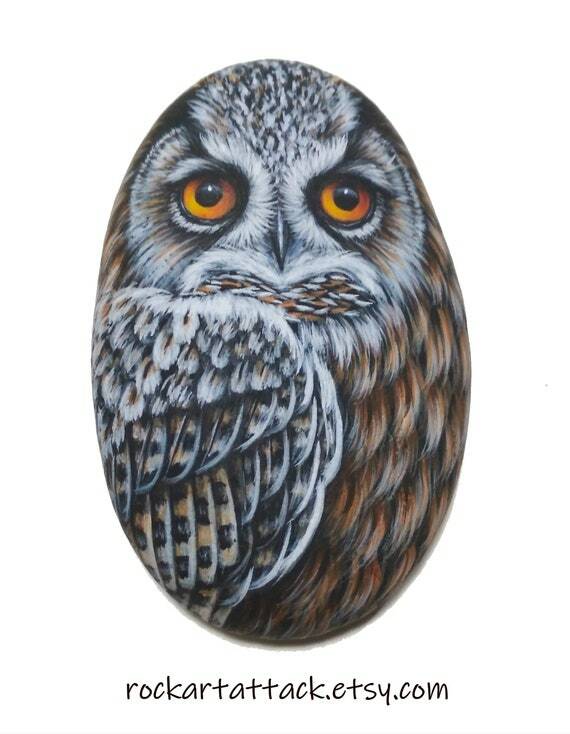 stone art owl. Painted with Acrylics and coated with transparent satin varnish.